The Metropolitan Edison Company/Pennsylvania Electric Company Sustainable Energy Fund’s Energy Audit program provides grants for professional energy audits. Applications will only be considered for buildings owned and operated by one of the types of organizations listed above. During an energy audit a trained specialist studies the energy usage of your building by reviewing bills and statements, determining the amount of energy used by onsite equipment, lighting, and windows, etc. The auditor will spend time at your building and with your team to understand your energy uses and needs. After the evaluation is complete, the auditor will prepare a written report that recommends ways to save energy at your facility. In some cases, nonprofit organizations use the information in the audit to make simple changes that have a big impact on their energy bills. In other cases, the building may require more significant retrofits or upgrades to achieve substantial savings. In those cases, the Sustainable Energy Fund will work with the organization to determine if a performance-based loan would be an option to get the work done. What is a performance-based loan? A performance-based loan has terms that are determined by the amount of money the organization is expected to save in energy costs as a result of efficiency upgrades. For example, if an energy audit shows that a building needs $30,000 in retrofits and upgrades to save $6,000 a year on its energy bill, then the performance-based loan could be structured to have the organization pay back $6,000 a year for 5 years, thus using the savings to pay back the loan while setting the organization up for lower bills in the future. Terms are determined on a case-by-case basis. Do I have to get a performance-based loan if I receive a grant for an energy audit? No. The decision to apply for a performance-based loan will be yours to make after you receive the audit results. How many energy audits will you fund? We anticipate funding up to 10 audits (five per territory). When are the applications for the energy audit grants due? Applications are accepted on a rolling basis, except applications are not accepted during the month of April. Total time from application to decision is approximately 90 days. A member of the Sustainable Energy Fund staff will contact you to learn more about your building and will likely schedule a brief site visit. The staff member will share you application and information from the site visit with the fund advisory committee, who will make the final recommendations on which organizations will receive the grants. Do I need to find an energy auditor? If your building is approved for a grant, we will provide a list of approved energy auditors from which you can request a quote. If you are located in the Penelec or Penn Power territory, call Community Foundation for the Alleghenies at 814-536-7741 or email info@cfalleghenies.org. 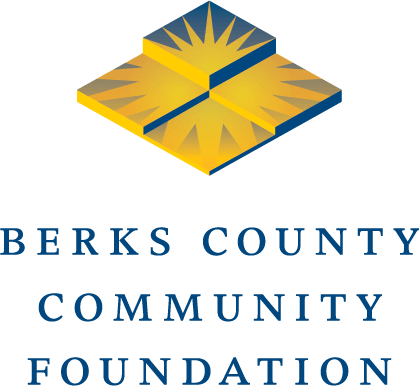 If you are located in the Met Ed territory, call Berks County Community Foundation at 610-685-2223 or email info@bccf.org. Grant applications are accepted on an ongoing basis. After you apply, a staff member from the foundation will contact you for additional information (if needed) and to set up a site visit if appropriate. After all due diligence is complete, the fund advisory committee will consider the application. Applications may be submitted any time except during April when our online grant application system undergoes annual upgrades. Total time from application to decision is approximately 90 days.